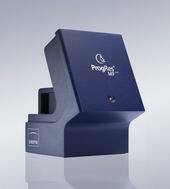 The high sensitivity of ProgRes® MFcool warrants brilliant images especially when working with low-light specimens. 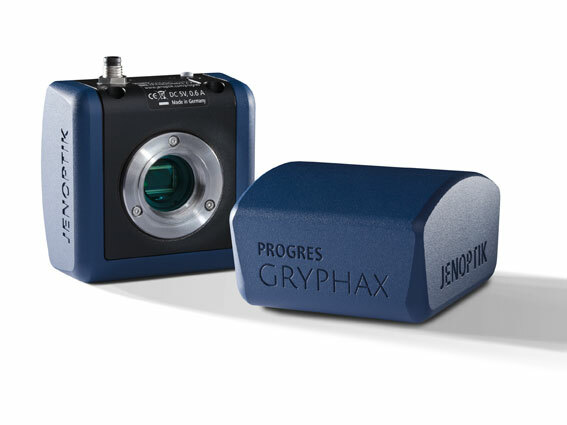 Low-noise longtime exposures - not only in fluorescence microscopy - are guaranteed by a sensitive 1.4 megapixel CCD sensor, excellent electronics including analog gain and cooling. The camera digitizes in 14Bit. In ProgRes® MFcool the monochrome CCD sensor is encased by a hermetically sealed, nitrogen-flushed capsule. The sensor is cooled by a Peltier element, a heat sink and a fan. ProgRes® MFcool can illuminate images up to 5 minutes. The fluorescence mode in the camera software, included in delivery, supports the user in capturing fluorescence images. Up to 5 single images using different filters are captured one after the other. Autofluorescence is eliminated and all single images are merged together to one complete image. IEEE1394 Firewire™ and C-Mount interfaces make it very easy to install the ProgRes® MFcool on your computer and microscope. Exposure time min.-max. 86 μs - 120 sec.